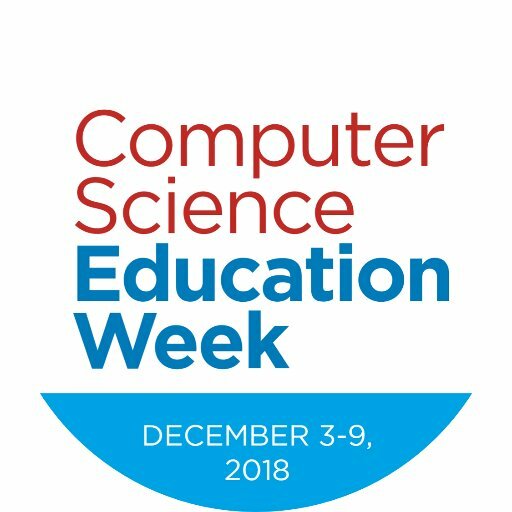 was on Coding & Literacy and the other was entitled "Infusing Making and Coding in the Elementary Classroom." 2. 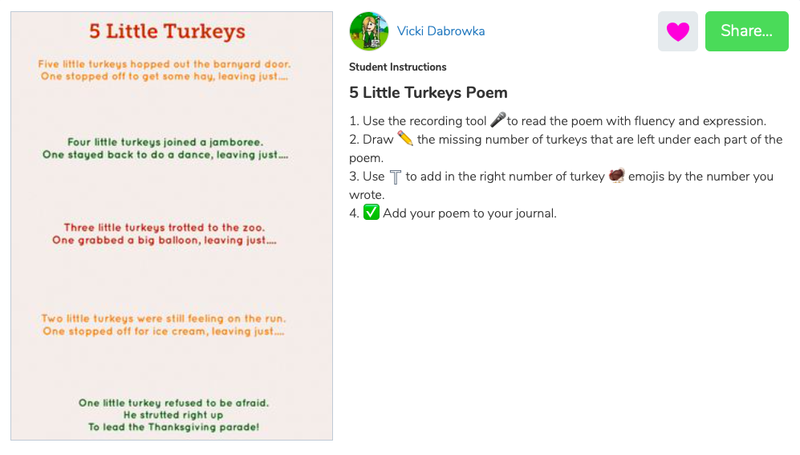 For my 1st Graders, I used Seesaw Learning Journal's Activity feature to create a 2 part Thanksgiving coding activity. 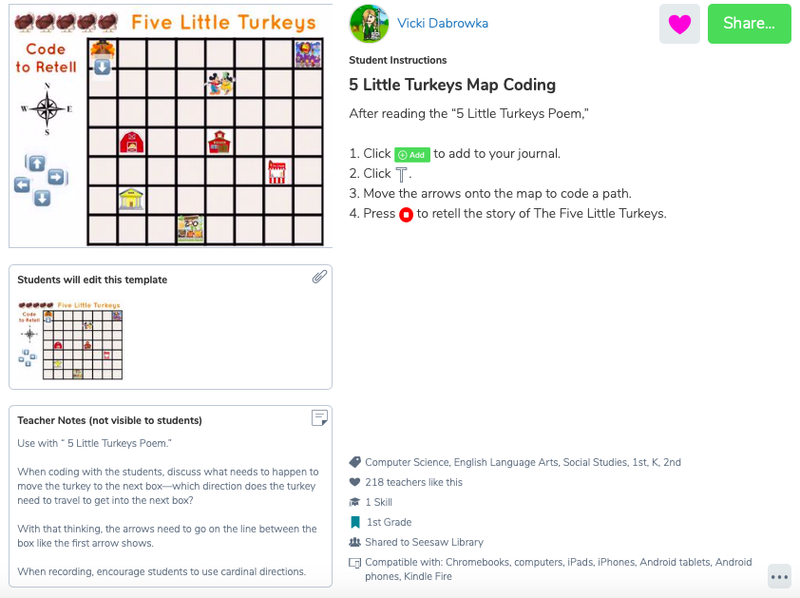 First, they illustrated the following poem via Seesaw with emojis and drawings, then they accessed the map activity to label the code. 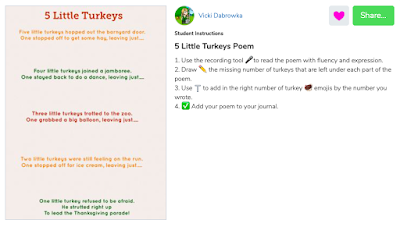 I have become a huge fan of Seesaw's Activity Library this year, both in searching new ideas, and creating my own to share out with the Seesaw community. 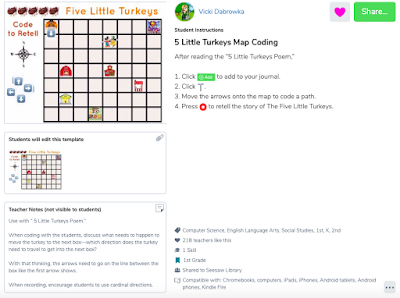 If you use Seesaw, definitely be sure to check out the Activity Library--there's a wealth of activities there on any subject you'd want! 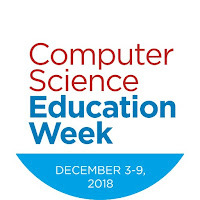 Wrapping up... a visit with Linda Liukas, creator of Hello Ruby, is a great place to land during Hour of Code & Computer Science Education Week. Here is her TEDtalk on coding as a language may her energy and enthusiasm inspire you this week!